Particle & Surface Sciences are pleased to announce the release of a new super-sensitive nanoparticle characterisation system, the NanoSight LM10-HS to compliment their range of instruments for imaging and sizing nanoparticles in liquid suspension. 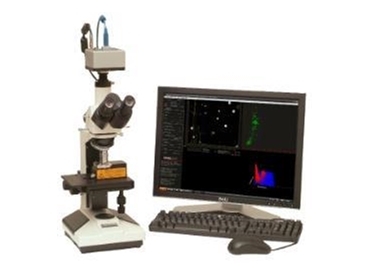 The system utilises EMCCD camera technology (Electron Multiplication Charge Coupled Device) which has improved the sensitivity of the standard Nanosight system by a factor of x100. In practical terms, this means that the lower limit of detection for a particular particle type has been improved by a factor of two when compared to the standard LM10 system. NanoSight Ltd, of Salisbury, UK, is the world leading provider of instruments for the optical detection and real time analysis of sub-micron particles. The Company supplies unique instruments for nanoparticle analysis in the sub-micron region that have specific application in virus particle detection and counting. These instruments go far beyond existing light scattering techniques in characterising polydispersed systems. A specification sheet for the LM10-HS is available from Particle and Surface Sciences Australia, the Nanosight sole distributor throughout Australia and New Zealand.